In Norway, climbing mountains feels like the most natural thing to do — so why shouldn’t this also apply to buildings? Usually, you are likely to be arrested if you walk on rooftops. This new building in the very epicentre of the capital of Norway feels like the complete opposite of the usual “Please don’t touch” culture tourists are often met with worldwide. The subtle variations in the structure of the marble-embellished roof is signed by Norwegian artists Kristian Blystad, Kalle Grude and Jorunn Sannes, and is truly a beautiful surface meant to be stepped on. Please keep in mind that under your feet there are three highly differently designed scenes, a myriad of public rooms and halls to explore, and a vibrant workplace for more than 600 opera and ballet professionals. Usually, you are likely to be arrested if you walk on rooftops. This new building in the very epicenter of the capital of Norway feels like the complete opposite of the usual “Please don’t touch” culture tourists are often met with worldwide. The subtle variations in the structure of the marble-embellished roof is signed by Norwegian artists Kristian Blystad, Kalle Grude and Jorunn Sannes, and is truly a beautiful surface meant to be stepped on.
. The innovative physique of the Opera House with its marble covered roof will unveil surprisingly different angles of the city you have come to visit. On your right: The fjord archipelago with small, traditional wooden summer houses painted in bright, optimistic colours. To your left: A quick scenery over the city core of Oslo. And further behind: The many fairytale-like shaped hills and mountains which embraces Oslo, the fastest growing capital in Europe. 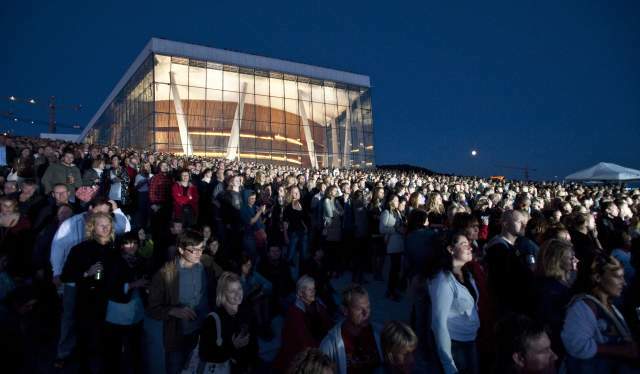 Throughout the year, The Oslo Opera House hosts a large variety of outdoor plays, concerts and other events. As a bonus, the structure of the building has given the waterfront back to citizens and visitors. On your right: The fjord archipelago with small, traditional wooden summer houses painted in bright, optimistic colors. To your left: A quick scenery over the city core of Oslo. And further behind: The many fairytale-like shaped hills and mountains which embraces Oslo, the fastest growing capital in Europe. Make an early arrival before the play begins and guests commence to fill the hall. Explore that special silence of great expectations that occurs before it all starts. The for an Opera House unusual wooden theme is a soft reminder of Norwegian nature and history. The intimate horseshoe shape of the The Main Hall hints to the origins of classic theatres. The design of the theatre’s main curtain is signed by artist Pae White. The central chandelier is created of hand cast glass bars lit from behind by LED lights. When lit or turned of, it has a moon-like presence. 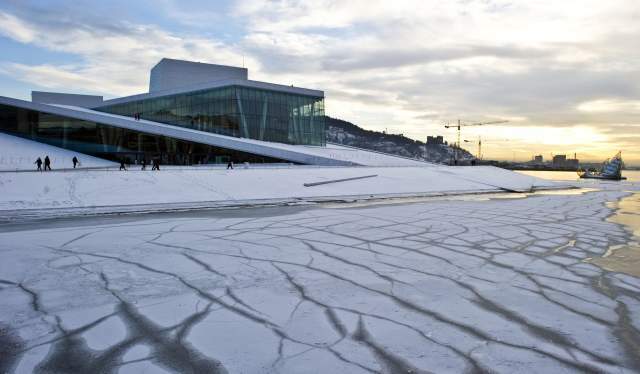 The often massive media attention created by the architecture of the Opera House has helped attracting internationally renowned opera and ballet performers to Oslo. The ever changing ensemble constantly consists of a fruitful combination of highly acclaimed national and international performers. A classical piece of opera or ballet should stay true to the origins of its interpretation, if you ask some. Others would like to see a brave new take on it. In this house you will find both, and since the opening in 2008, The Norwegian National Opera & Ballet has been known for its variety. The Opera House has a huge inner space with spectacular designs, that is open to the public. 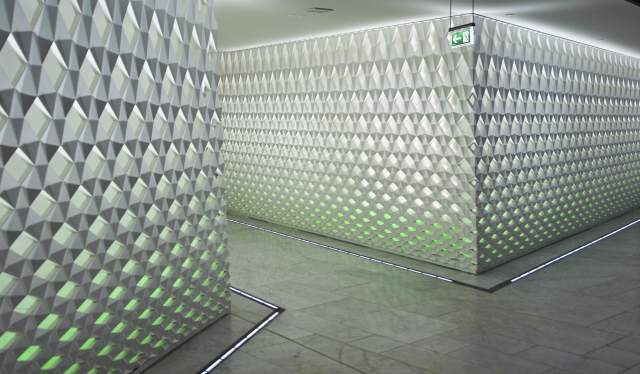 In order to create unusual surfaces, architects at Snøhetta worked with artists. One of many examples of astonishing design by different artists is the perforated cladding created by artist Olafur Eliasson. Come visit the building that was not particularly inspired by previously built landmarks, but rather by Norwegian nature. People from all over the world have come to walk on the roof and to experience various performances — now it’s your turn to come here and play.